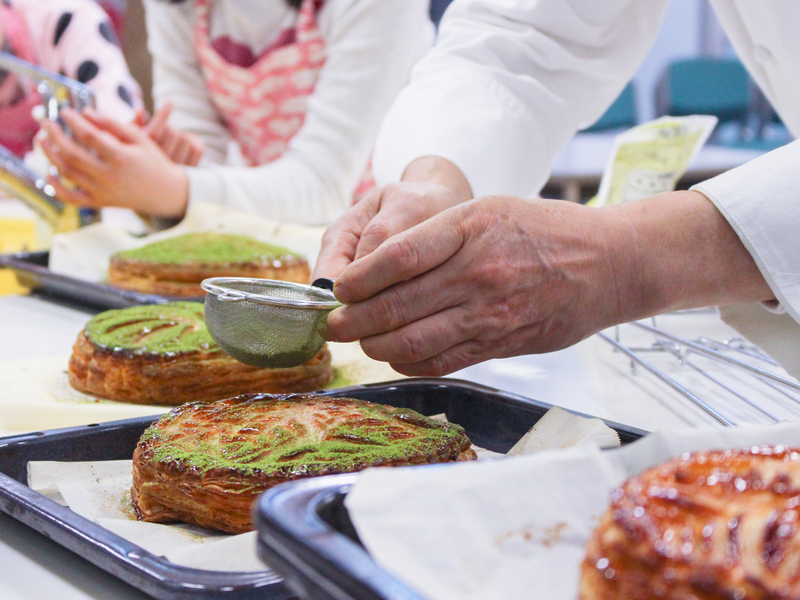 In the second installment of OGATSU X’s Shell Plate project, the members visited the area that produces Ogatsu stone, toured the Ogatsu stone quarry, and used plaster molds to cast their scallop-shaped plates. 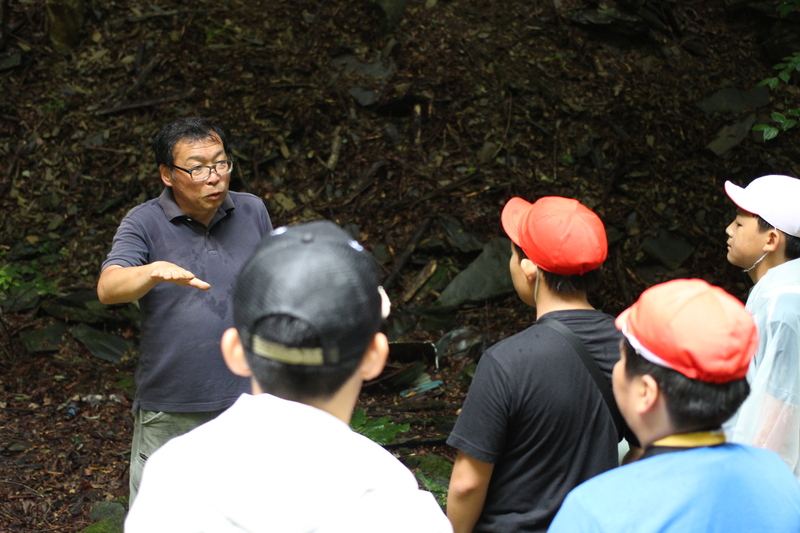 On their tour of the quarry, Mr. Takahashi taught the children that although “Ogatsu stone” is a general term, depending on where the stone is quarried it can have a different hardness, and quarrying can yield stones of different sizes. 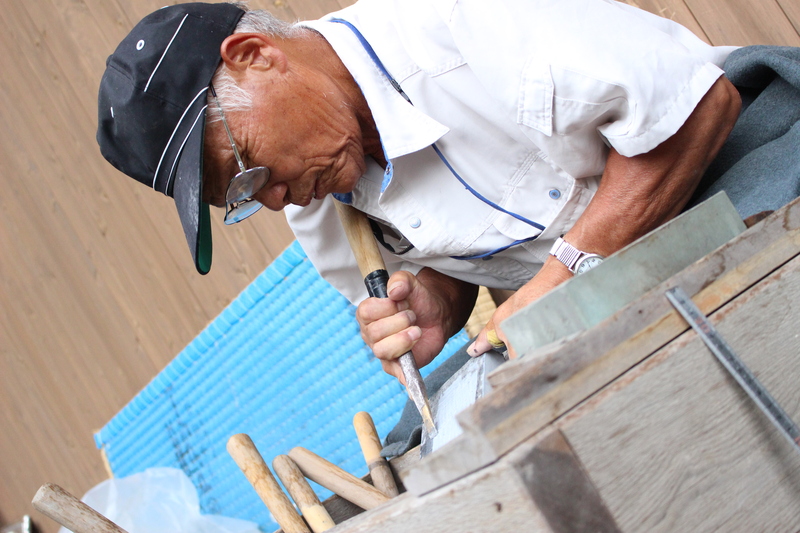 Depending on the characteristics of the stone, it may be used for different purposes, such as roofing or making suzuri. 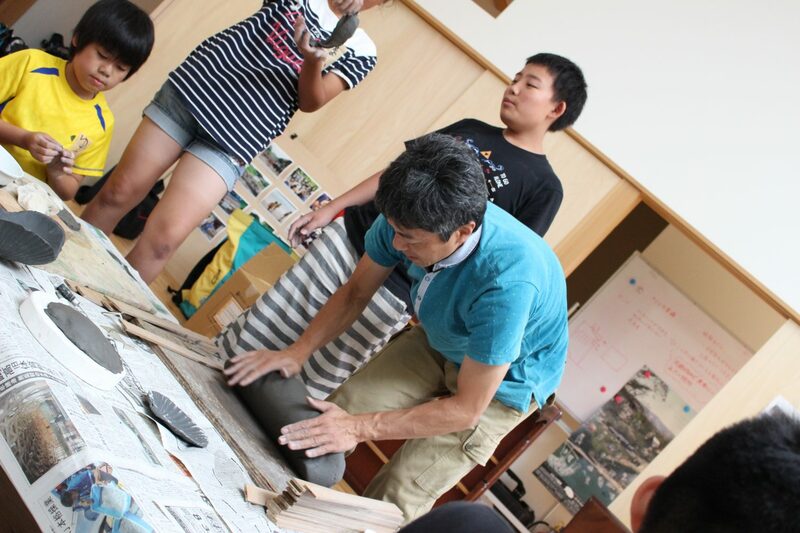 Following a demonstration on how to craft an Ogatsu suzuri by Mr. Suzuki, the children each took a turn making a suzuri. Watching how it is done and actually doing it are vastly different things. 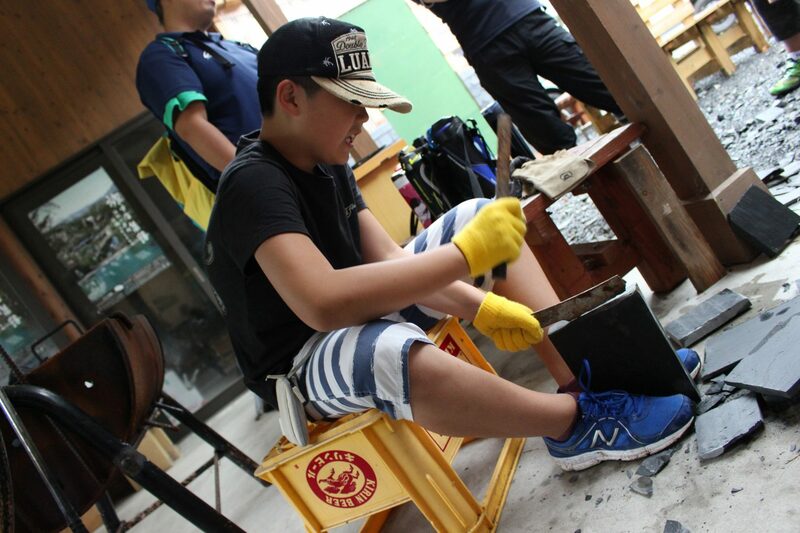 After feeling how hard the Ogatsu stone is, the children realized how difficult it must be to make a suzuri. 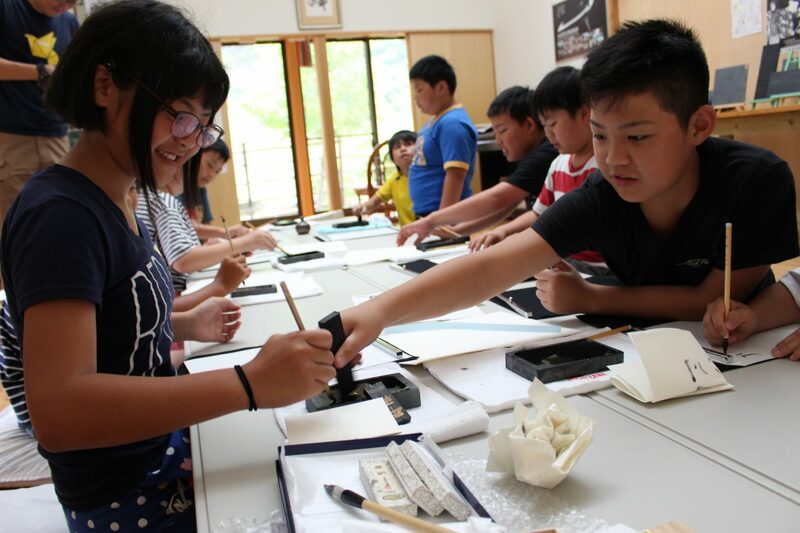 During their experience of rubbing Ogatsu suzuri inkstone, the children enjoyed the new sensation of rubbing the inkstone, the feel and smell of which were quite different from the plastic suzuri and liquid ink they use in calligraphy class. 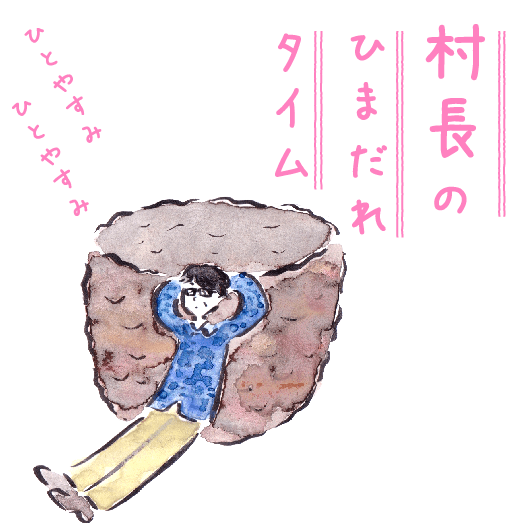 The children discovered that the trick with inkstones is not to grind them but to rub them. 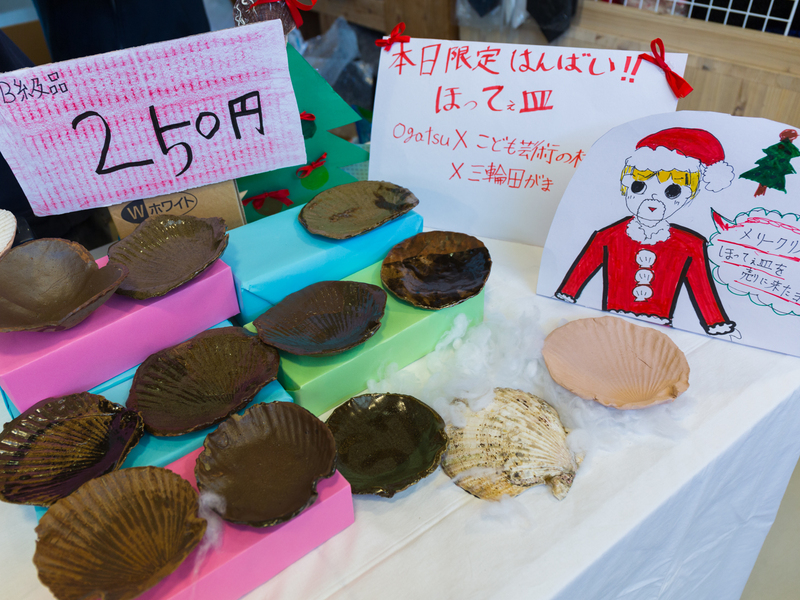 Finally, the children used their plaster molds of scallop shells to make their Shell Plates. Although they were using molds to mass-produce the plates, they left fingerprints on the surfaces of some of the products, which helped convey their love for their city. 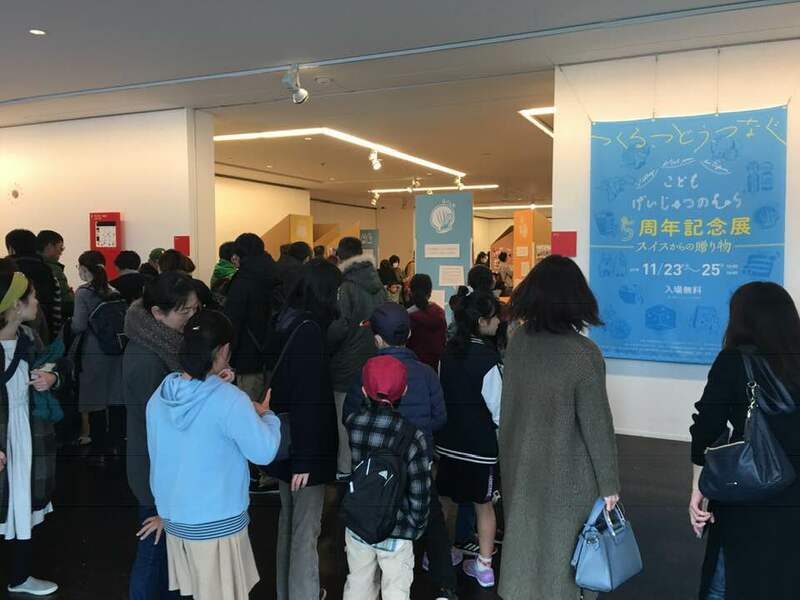 Furthermore, when it came to actually using the molds to produce plates, the children found that they needed some way to prevent the mold from breaking after they had removed the plate. This will be an area to improve on for next time.